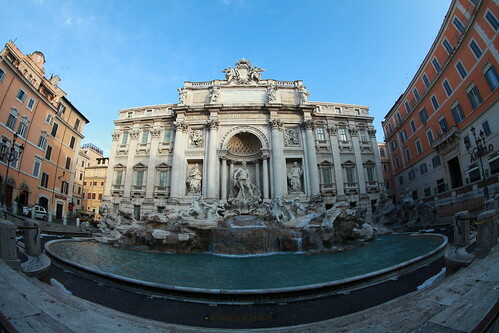 Trevi fountain is just an approximately 700 meters walk from Spanish steps (see previous post). We took a morning walk from Spanish steps to Trevi fountain with Garmin GPS in hand to show me the direction around in Rome. The new Etrex 10 that I’ve got has been a very useful tool for me to navigate around on foot. The cold weather makes it easier to walk as you will never feel sweaty and grumpy, we have started walking since 8am in the morning, so this can give you a hint how the streets will look like with very few people around. Shops were still closed but we didn’t care because shopping is not our priority at that time. The sight of the Trevi fountain was really fascinating. The beautiful place that I have always heard of is right there in front of me! 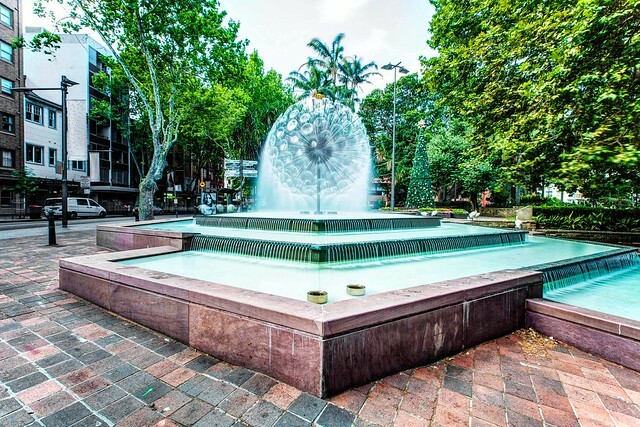 As the location of the fountain is surrounded by buildings with just a road width space separating them apart, it is impossible to take a nice up front shot without any distortion unless with a tilt and shift lens. This shot gives me more reasons to love my fisheye lens. It has given me various perspective in photography ever since I got it! Due to its petite size, it has made my camera easier to handle and carry around. Although photoshop can give me fisheye effect as well, they are all still not the same. Moreover, I can even take videos with my fisheye to get everything in! 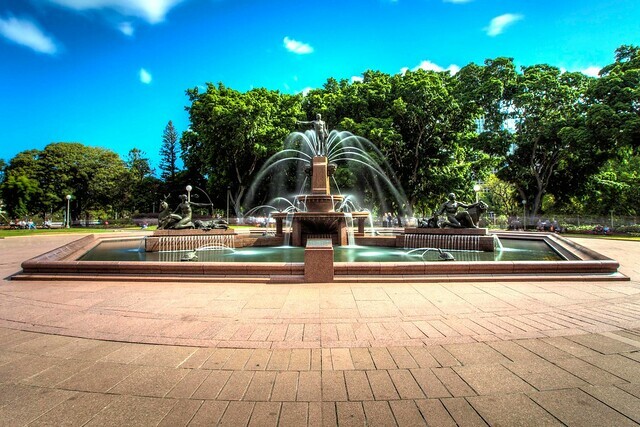 The shot that I’m going to share was taken by 5D II with EF 8-15mm f4 L lens.